The Barber County Sheriff’s Office is accepting applications for the position of an Emergency Communications Dispatcher. This is a full-time position and dispatchers currently work a 12-hour shift with a 3-day weekend on every other weekend. The selected candidate may be required to work nights and holidays depending on the needs of the agency. REQUIREMENTS: The selected candidate must be dependable, have a strong and proven work ethic, and an ability to work under stressful situations. This position requires excellent verbal communication and listening skills. The applicant must be able to type 30 words per minute, be computer literate and able to multi-task. They must be 18 years of age or older, have a high school degree or equivalent, and possess a valid Kansas driver's license. The applicant will be required to pass a thorough background check and drug screening. Barber County residency is preferred. SALARY: Starting salary for this position is $12.50 per hour and benefits include paid holidays, vacation, sick leave, health and life insurance. 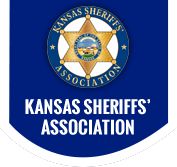 APPLICATION: Applicants can obtain an application by contacting Cheryl at 620-886-5678 or by picking up an application at the Barber County Sheriff’s Office, 124 E. Washington, Medicine Lodge, KS 67104. Barber County is an Equal Opportunity Employer.